We don’t all start out as geeks. Some of us are encouraged at a very young age by a significant family member or friend, while others grow into it naturally. For me, my journey started early, almost as far back as I can remember, with my mother. Though my parents have been divorced since I was about four, and I primarily lived with my father, it was my mother whom contributed the lions shared of my social and technical geekery. My first real recollection of being introduced to geekness was when I was visiting my mother for the summer in the early 80’s. We watched Star Blazers, then later Robotech together on TV and discussed the plot lines. Later she bought the entire Robotech novel series on paperback and I relished them after she had completed them as well. There was also a computer that came into our lives. This amazing modern machine was an Atari 800XL. It had about as much power as a calculator but that wasn’t the point. Both her and I spent countless hours pouring over books with Basic programs in them, trying to enter them all in line by line. We shared in the frustration of attempting to run the programs only to have it crash or even worse, lock up the entire computer before we saved it to cassette tape. There was debugging to be learned, and coding to be mastered. It was a whole new world. When I wasn’t playing Legos, or running my Stompers around in the dirt outside, I was on that computer all summer. Of course, it had cartriage games and I played Donkey Kong, Pac Man and a few others on it as well. This likely contributed to my gaming obsession that continues to this day. The games were a nice release from the times where you’ve poured over a couple hundred line Basic program that won’t work, and I leveraged them to their fullest extent. 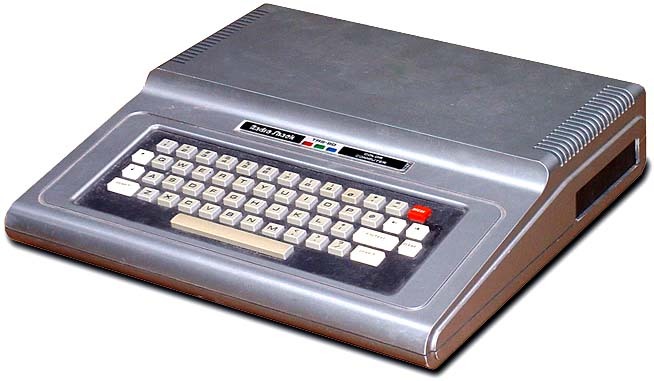 From the point of the Atari 800XL and onward, there was always a computer in my life, though never at my primary residence until the early 90’s. At my mother’s house, we consumed three different Tandy TRS-80 computers (Color Computer 1, 2 and 3). The Basic programs became more complex, and yet easier to manage as saving to a 360Kb floppy was much easier than cassette tape. From the perspective of the future (now) I am amazed at what programs could be run in 64Kb of memory. Even the hot rod Color Computer 3 we built up was only running 512Kb when it finally died off in the mid-90’s. In that mere 512Kb we ran OS/9, which was a full multi-windowed and multi-tasking operating system that booted out of MS Basic. By the time I was wrapping up high school in the early 90’s a family friend permanently loaned me a MS DOS 2.11 Toshiba T1000 laptop. I learned what I could of DOS there, and ruined a few program floppies in the process (whoops, so THAT is what the recover program does). I had the opportunity to have this laptop with me at my father’s house so my geeking out wasn’t limited to just summers anymore. The summers were still filled with computers of course. Sharing the latest exciting King’s Quest or SimCity. However the summers also partook in video entertainment. My mother was an avid fan of Monty Python, and from an early age (perhaps too early) I was indoctrinated with the magic of the Flying Circus. The reason it may have been a little too early was one Christmas at my grandparents house, I busted out with a rendition of “Sit on my Face” to the entire family while my mother tried to hush me up. I was innocent enough to not know the implications of the lyrics, thus I was proud to perform it for every one. I also tended to watch a lot of Star Trek (any series) that was on, and Star Wars movies whenever other options ran out. Which brings back another memory. At around the age of 3 or 4, my parents brought me to the Grand Lake Theater in Oakland, CA. This was for the showing of Star Wars right around the initial release. As the story goes, I was apparently poking my little head above the balcony railing and holding on for dear life during the entire showing. I guess first impressions were good to me, as it remains one of my favorite movies of all time. The real Star Wars: A New Hope. Between the constant computer exposure, the reading of fantasy/sci-fi novels, the exposure to anime/Star Wars/Monty Python at an early age, and constant discussions about the latest tech, my geek fate was complete. Out of high school I tried out a few career paths (landscaping, retail sales, construction, mechanics, etc) but nothing was working out for me long term. Where was my niche? 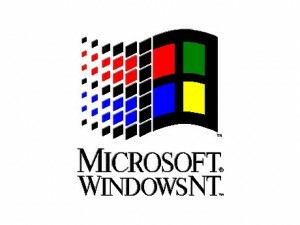 Around the mid-90’s I connected with a family friend to start helping in his internet hosting company, cutting my teeth on NT Server and O’Reilly WebSite. With his mentor-ship I was able to get started on a path of IT, becoming a sysadmin and now a systems engineer supporting SAP solutions. Looking back, I have to thank a large group of people for helping me get to where I am today. My mother was certainly key in getting things kicked off with computer technologies for me, and gave me an appreciation for games, geek movies, and sci-fi books. My father gave me critical troubleshooting and problem solving skills from his experiences of working on his own cars and home building (awesome in an IT field). Family friends helped me out with technology gifts and allowing me to fail when getting my first start, while mentoring the evolution of my technical crafts. More currently, I have to appreciate the large circle of geeks I interact with daily on IRC, IM, email and occasionally in person. It takes a village to raise a geek, let them bud and shine. This entry was posted in Geeking, General, Technology and tagged geeking, monty python, robotech, trs-80. Bookmark the permalink.